I’m very excited that I found some backing fabric for my School Days HST Quilt. I stopped by my local quilt shop in hopes of finding some of the Red Composition fabric from the school days line. 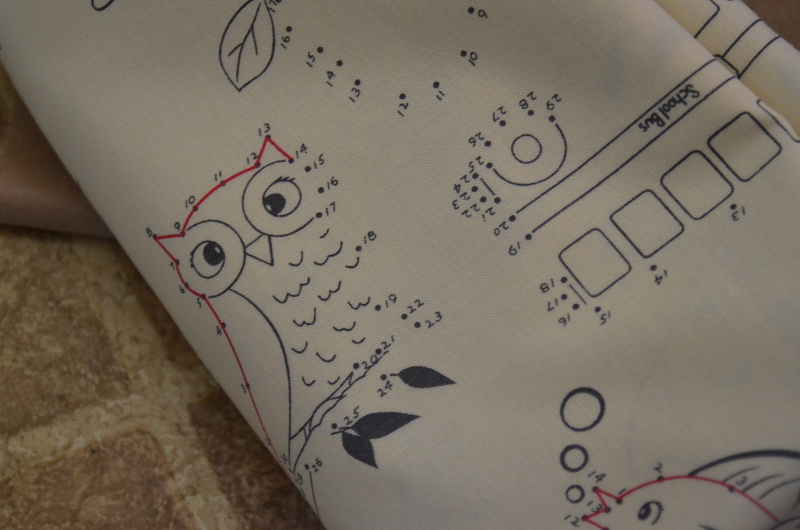 No luck with that, but Quilts N’ Bloom did have a bolt of the Dot to Dot fabric in Cream. I added another 2-inch border around the outside, which I think will look great once it has the blue binding. I’m actually pretty excited about the whole thing. 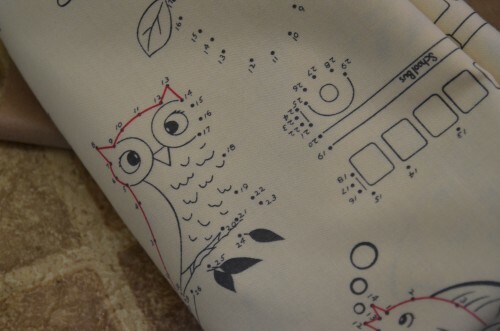 I’m thinking about quilting along the dot to dot pattern. I purchased Moda layer cakes and chrams to make this quilt. I have a problem. When the 4 chrams are sewn together, they become smaller square than the 10 layer cake square. I purchased pre-cuts so that I would not have to cut the squares. How do I make the adjustment? Have you tried making the Dot to Dot quilt with the layer cakes and chrams yet? I have not been able to find the tutorial. Try using standard 1/4 inch seams on the charm squares, and adjusting the sizes of the larger squares by using a larger seam allowance.